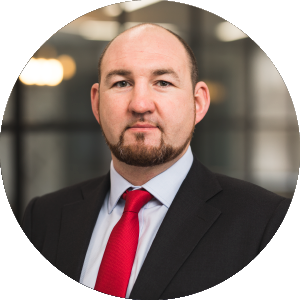 Michael has significant experience working as a CRO alongside management teams and boards, providing hands‑on support and advice through complex restructurings in the UK and Europe. Michael is a Chartered Accountant. He previously worked in the restructuring team at Kroll. He also spent a year on secondment at a major European bank. CRO of BMI Healthcare, one of the largest private hospital operators in the UK, appointed to lead its financial restructuring and rent negotiations with its main landlord. CRO and Geschäftsführer of Jack Wolfskin Germany GmbH, the leading outdoor apparel business, appointed to lead the fully consensual financial restructuring of its €365 million of debt. Advising an international oil and gas company on its business plans, cost reduction measures and liquidity management. Working with the CRO and reporting to the Group CEO of Apcoa Parking, the German headquartered pan‑European car park operator, to negotiate and implement the financial restructuring of its €800 million of debt. Adviser to UK Public Body as majority creditor in a $0.6 billion insolvent Luxembourg securitisation. Implementing cash flow management systems and providing cash management support to Almatis, a leading global manufacturer of alumina, on behalf of the Management Board as part of its $1 billion debt restructuring via a Chapter 11 process. Working with the Board of Iceland’s leading telecoms business to develop a three year business plan and a strategy for refinancing its bank debt. Reporting to the Board of a large high street retailer on a project to implement cash flow management systems, develop a three year strategic business plan, manage key stakeholder relationships and advise on available options. Advising the Board of an Eastern European manufacturing company through its restructuring process, including communication with key stakeholders, the preparation of a three year business plan, detailed cash and operations management and options analysis.